The construction market has rebounded in recent years, with continued strength projected through 2019 (as highlighted in the 2019 Annual Report & Forecast). Many fleet owners and managers have re-invested in their fleets to make up for previous years of extending life cycles as long as they could. Many others remain in a position today where their fleet requires upgrading/modernization — and we’re at an inflection point with technology where newer/current machines provide significant operational and cost savings advantages over machines that may be five or 10 years older. On top of having equipment with leading technology, however, is the ability to maintain cash flow that allows for investment and re-investment into other areas of an operation. Whether that’s in people, marketing, or strategy development, those factors have an impact on whether companies thrive. CASE partners each year with Construction Equipment magazine to produce the Annual Report & Forecast, a quick recap of the year before and an in-depth look into industry confidence and intention heading into the new year. As Construction Equipment Editorial Director Rod Sutton comments in his opening article of the 2019 report, the industry anticipates positive movement in the new year. 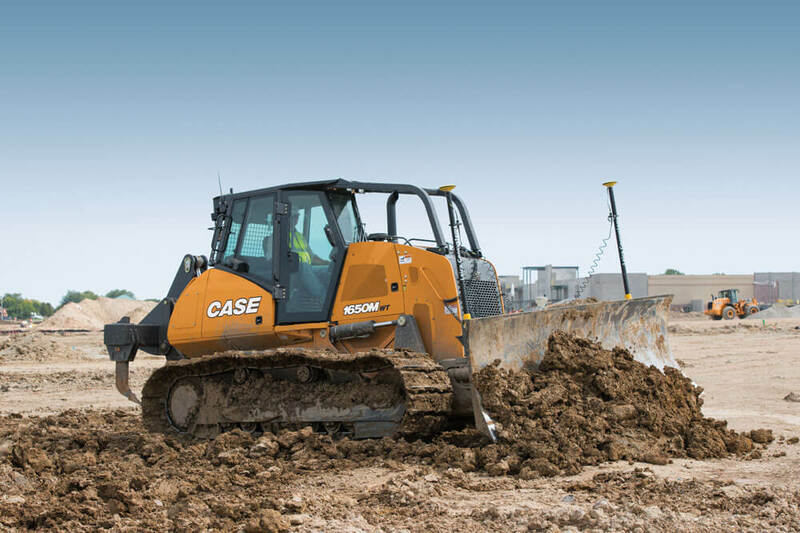 CASE Construction Equipment introduces the all-new C Series motor graders. Two new models deliver a wide offering of new weights, horsepower ratings and feature-driven grading solutions for municipalities, as well as small-to-mid-size site prep, road-maintenance and general construction businesses. 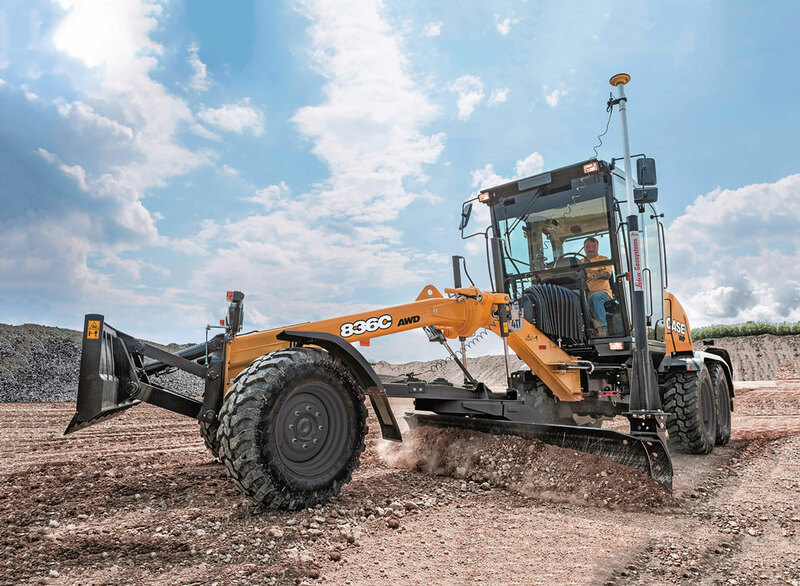 These new motor grader models feature a variety of standard features designed to maximize productivity and performance. Available in both standard and All Wheel Drive (AWD) configurations, the 836C and 856C achieve Tier 4 Final compliance with Selective Catalytic Reduction (SCR) engine technology that increases fuel efficiency, keeps exhaust temperatures down and eliminates the need for regeneration. 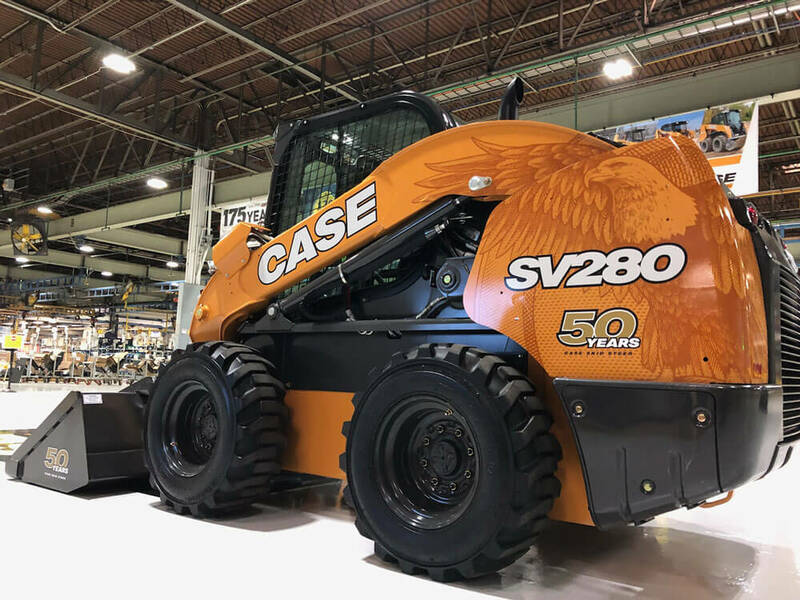 CASE Construction Equipment is making numerous updates to its N Series backhoe loaders, including new industry-exclusive PowerBoost functionality, a new PowerDrive transmission upgrade with Direct Drive, and a factory-installed thumb that makes backhoe operation even more versatile. New CASE N Series backhoes also feature updates to loader controls, including a new declutch trigger, new roller/rocker switch for better attachment control, and an all-new F-N-R thumb switch for simplified operation. 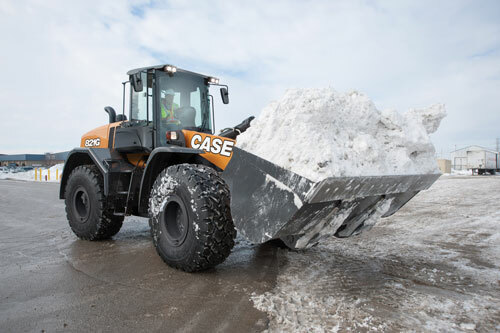 CASE Construction Equipment introduces the all-new TV450 compact track loader (CTL), a new 10,610-pound vertical-lift machine with a rated operating capacity of 4,500 pounds at 50 percent tipping load. 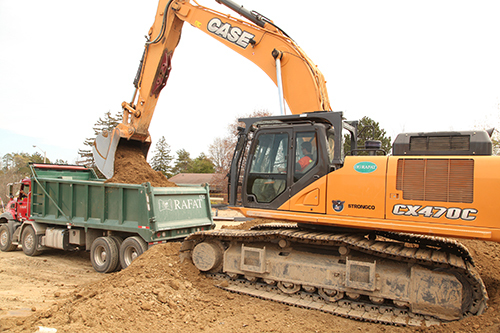 The newest and largest CASE CTL ever built features an industry leading 9,188 pounds of breakout force, and optional high-flow (3,450 psi at 39.5 gpm) and enhanced high-flow (4,000 psi at 35 gpm) hydraulics for high-power attachments such as mulching heads, stump grinders and cold planers. 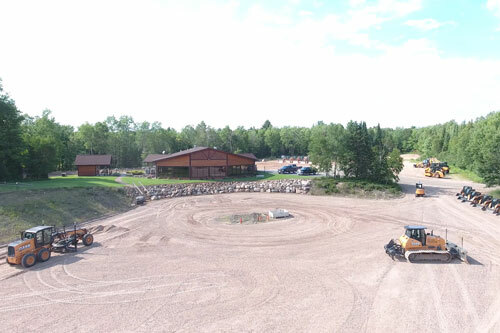 Wheel loaders today offer a number of options as it relates to powertrain components. 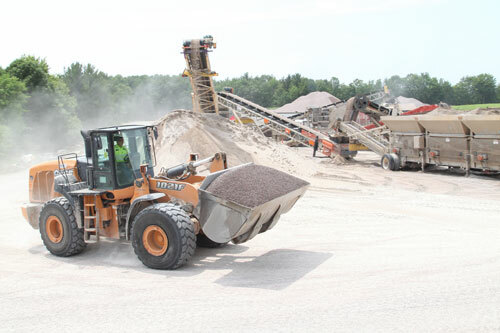 While size, horsepower and bucket capacities drive the initial loader identification/purchase phase, the next level of consideration — where decisions are made about transmission, axle and differential options — has a significant effect on long-term performance, productivity and total cost of ownership. 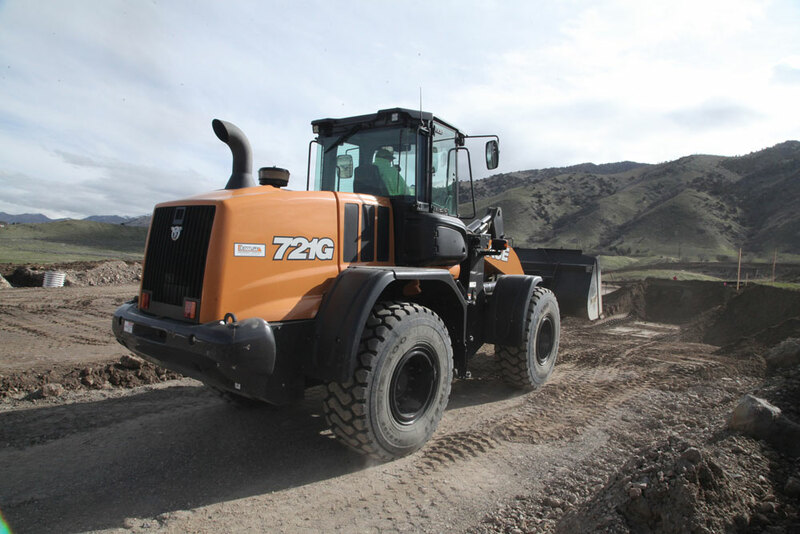 Even in the demo phase, operating a loader that is not the right match of powertrain to application and ground conditions can sway a purchase decision one way or the other, only to surprise the machine’s owner when they get it into real world conditions. Worse yet: powertrain options not properly matched to the site can lead to excessive wear on tires and components, downtime, and lifetime maintenance costs much higher than they should be. It’s also worth noting that operators should be properly trained in machine operation as it relates to the powertrain options selected. 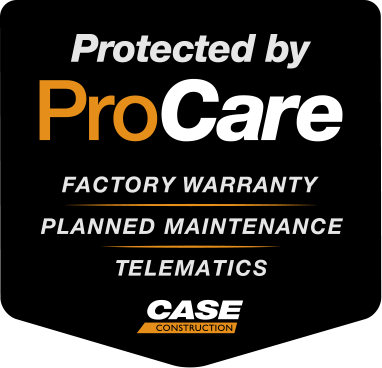 CASE Construction Equipment announced that its CASE SiteWatch™ telematics portal is now aligned with the new Association of Equipment Management Professionals (AEMP) 2.0/ISO-15143-3 standard. The AEMP-compatible portal is populated with data provided by equipment manufacturers in a standardized format to ensure a practical and intuitive user experience for the contractor/equipment owner. This allows owners of a mixed fleet to access the telematics data of all their AEMP 2.0 equipment in a single place, gaining efficiency in running their operation. CASE equipment owners can activate the new AEMP API from the CASE SiteWatch web portal, where they can now monitor more elements in shorter intervals, view more data, and monitor new types of parameters related to fuel, idle times, engine load and speed. 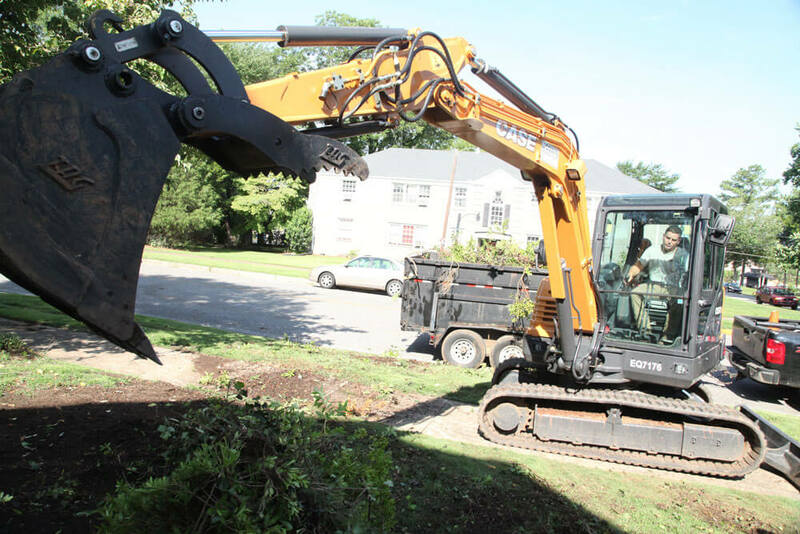 A thumb attachment can dramatically increase the versatility and performance capabilities of a compact excavator. A relatively inexpensive investment, a thumb can allow an excavator to handle a variety of high-precision material handling, land clearing, utility and road building applications. Below are a few quick tips on buying, operating and maintaining a thumb attachment for a mini excavator. In terms of buying and spec-ing a thumb for a mini excavator, the most basic and important thing to consider is that it has to match the bucket. It’s not as simple as taking a thumb and putting it on a machine with any bucket—they have to match. Depending on the size of the thumb and the size of the machine, thumb attachments for mini excavators typically have two tines. 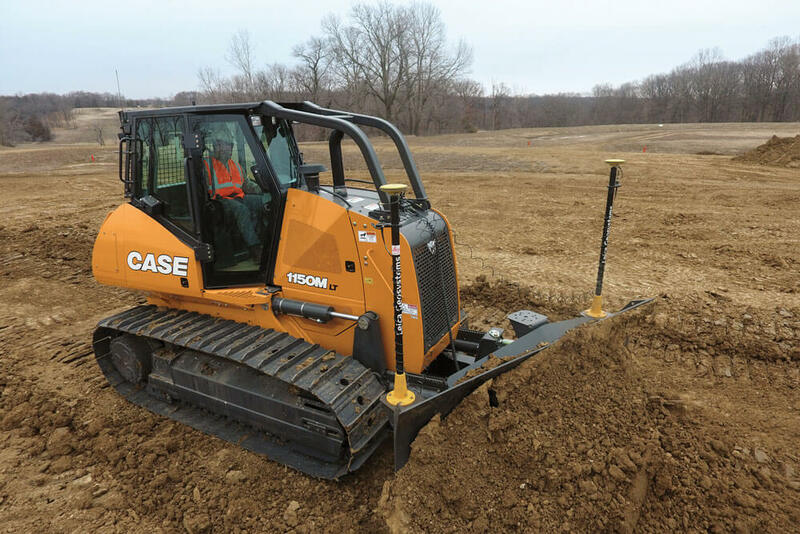 CASE Construction Equipment has announced several dealer territory expansions in North America as the company continues to strengthen its nationwide dealer network. Existing dealers have made significant developments in their presence in Connecticut, Indiana, Florida, Michigan and Mississippi, while a new CASE dealer has been activated in Northern Michigan.